FREE Sushi At P.F. Chang’s! You are here: Home / FREEbies / FREE Sushi At P.F. Chang’s! On October 26 only! P.F. 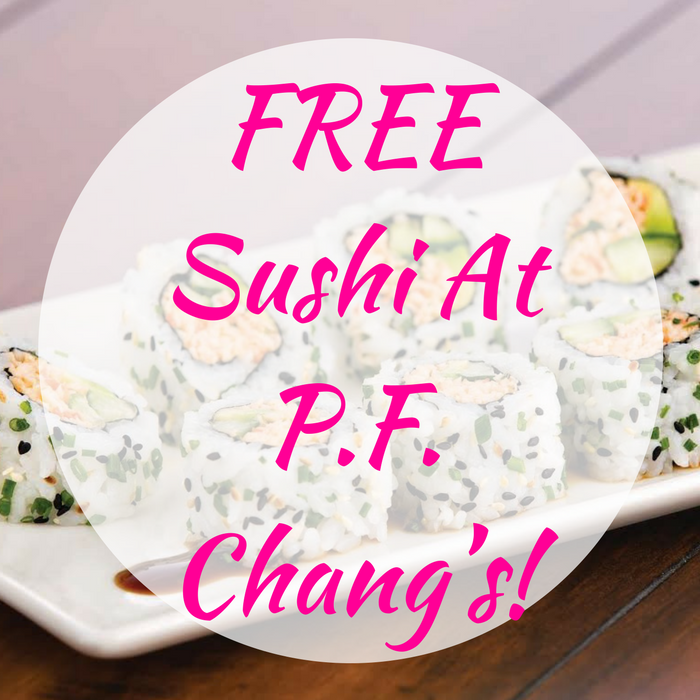 Chang’s will be offering a FREE Sushi! Yum! Dine-in and choose from California or Spicy Tuna Roll – no purchase necessary! Click here to find a location near you!